Heat the oil in a small frying pan over low heat. Add the garlic, chilli and lemon zest and cook, stirring, for 1–2 minutes or until lightly browned. Transfer to a bowl and set aside to cool. Place the cucumber in a clean tea towel and squeeze out any excess liquid. 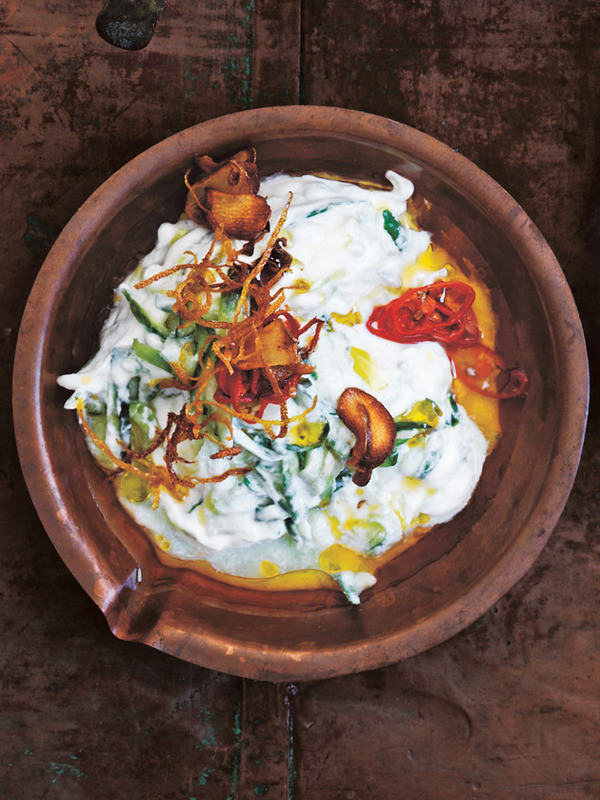 Place the cucumber in a medium bowl with the mint, yoghurt, lemon juice and salt. Stir to combine and top with the cooled oil mixture to serve. Makes 1½ cups.